Rocket League is the current darling of the Kingdom of Videogames. While there are many reasons for that, the biggest one is that it’s a frightful amount of fun. Right now, it’s bound to the PC and the PlayStation 4 – even allowing cross-platform play betwixt the two. And soon, it could be headed to the Xbox One. So says developer Psyonix, who assert that the fantasy sports game that replaces footballers’ feet with rocket-boosting supercars, is “absolutely, 100 percent” coming to additional platforms. Speaking to Gamezone, Psyonix’s vice President of Marketing and Communications of Psyonix Jeremy Dunham said the game should soon make its way to systems other than the ones its already on. The game was originally bound to those two platforms because of the development team’s size – not because of any exclusivity agreements. “The reason that we had to focus is because with that many people, and we’re perfectionists on top of that, we wanted to make sure the game ran well and that it had as many positive elements as possible, and that we weren’t just trying to port it to as many platforms as we possibly could just to try to maximize our profit,” he continued. While he hasn’t specifically stated it’ll hit the Xbox One, it’s an incredible likely scenario. The question, of course, is whether or not the game will allow cross-platform play on other platforms. We know that PlayStation gamers can play against PC gamers, and there are other games that allow cross platform play between Xbox One and PC gamers. 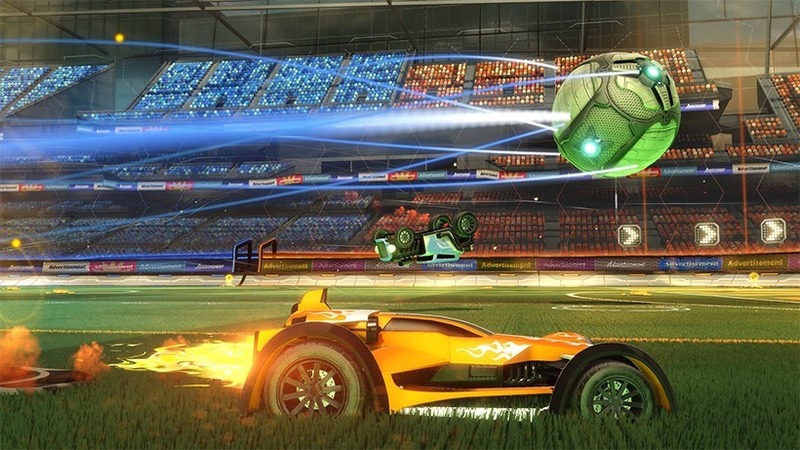 Could Rocket League bridge the fanboy divide and let PlayStation owners face off against Xbox One gamers?